As the saying goes, you can never have enough bikes. Especially if they are ones once ridden by professional cyclists. The guys at Merlin Cycles in Lancashire have got their mitts on some 2014 Ridley bikes, race-ridden by the Lotto Belisol team in the season just gone. One to look out for is the machine ridden by Andre Greipel, which, despite taking a beating on the road, remains in top condition and even still has the race number peg attached. 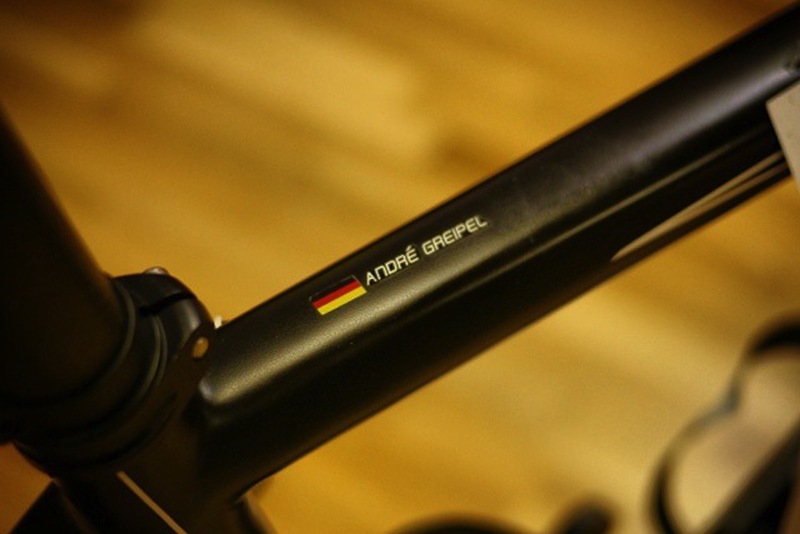 Greipel, who won stage six of the 2014 Tour de France in Reims, preferred to ride a medium-sized Helium SL, which can be yours for £2799 on the Merlin site. If a pro’s frame isn’t enough for you, then the addition of Campagnolo Record and Super Record EPS groupsets are a pretty neat extra and the Look pedals thrown in are the cherry on the cake. For more pictures and links to buy one of these bikes, visit the Merlin Cycles website.